We are an agency for innovation, exploring creative possibilities. Allowing ourselves the freedom to play, we can find a space where original thoughts can flourish. No axe to grind, no pay for the piper, just the desire to express ourselves and move forward. Somebody somewhere just had a bright idea. 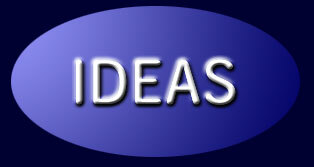 Many ideas come to nothing, or have little impact, but history is strewn with ideas which have transformed the world. You see; you never really know until its out there..
TMC - the true story!